I homeschooled our eldest for preschool, and it was as delightful as could be. Weekly seasonal themes, or other themes of interest, dictated the piles upon piles of lovely picture books we savored. I made simple learning games and activities to coordinate with our themes. The alphabet, letter sounds, calendar skills, and beginner math skills all happened organically. We spent hours outside every day. Indoors was a feast of blocks, puzzles, pretend-play toys, homemade play-dough, watercolor paints, and simple crafts. Our younger two joined in as appropriate for their ages, and then they did preschool the same way. It was early childhood learning, homeschool style, at its finest. But when it came time for our eldest to start kindergarten, I figured it was time to dust off my school teacher hat and get a little more serious. After all, this was “real” school now. I ordered materials for handwriting, reading, and math, and planned to just continue our feast of books for anything else we wanted to do. But when it came time to plan out the reading lessons, I was perplexed. I was using All About Reading for the first time, and as I looked over the teacher manual I saw that there were fifty lessons and all of the lessons had multiple components, some of which might warrant a day of their own. How was I supposed to pace the lessons? How was I going to fit them into forty weeks of school? I was not thinking about learning anymore, I was thinking about how I’d get it all done. I was thinking about all the homeschool "perfection" I saw on social media and how I could measure up. Thankfully, it didn’t take me long to realize that I needed to continue to trust my instincts just as I had while teaching homeschool preschool. I had enough sense to realize that, teacher hat or not, this didn’t have to be school as I had previously known it and it didn't need to be Instagrammable. I didn’t need to teach with lesson plans binding me to certain lessons, on certain days, at a certain pace. We could do multiple lessons in a day, or skip ones that were too easy, or linger for several days over something tricky. I could set goals for my children and have a rough framework for where I’d like to be with the lessons by certain times in the school year, but those didn’t have to be set in stone. Looking back, the start of that kindergarten year was the first of many lessons I’d learn as a homeschooler. Turns out, I had a lot of preprogrammed ideas about school…but I also had a lot of preconceived ideas about homeschooling. Homeschooling isn’t some kind of educational utopia. Before we started homeschooling, I envisioned it being a combination of every lofty and beautiful educational ideal all rolled into one amazing, shining experience. But reality has shown me that it’s not all roses. Children still need to learn to do many rather uninteresting, but important, things like regroup to subtract, and form possessive nouns, and write sentences instead of fragments. There is much in education that is tedious and mundane. Every book, lesson, and concept isn’t going to be inspiring or awe-inducing – and doesn’t have to be. There are lessons, too, found in just doing the next ordinary thing. You can get burned out in homeschooling by trying to do too much. When I taught in the classroom, the majority of my lessons were quite ordinary, punctuated maybe once each day by something special like a game, group work, or an experiment. But every lesson certainly wasn’t a “Wow!” lesson – that just wasn’t realistic. As a homeschooler, I’ve found that it’s very easy to fall into the trap of trying to do school at home, only better – much better! Maybe that’s because we’re subconsciously trying to prove our worth as homeschoolers, silence the critics, or to show that we’ve got it all under control. To compound matters, there is seemingly no end to online perfection--creative ideas for projects, activities, experiments, crafts, books, and décor to incorporate into a homeschool, truly no end to the “more” any mama could do. But over time I’ve come to realize that I will wear myself out and take the joy out of teaching if I try to do everything. It’s very good to sprinkle in the fun and the special into homeschooling, but every lesson doesn’t have to be Pinterest-worthy. Homeschooling isn’t always picture perfect. Before we started homeschooling, I thought every homeschool day would have a warm fuzziness about it. After all, I love my kids and they love me, I’m passionate about homeschooling and they love it too, and homeschooling is such a special way to learn. But…we’re also real and flawed people. There are many days when my children don’t want to do their school work. And there are many days when I’d rather do just about anything other than teach. There are many days when their attitudes and behaviors are lacking and many days when mine are, too. There are days when my children don’t give their best and days when I’m not as prepared as I should be. Just like in life, in homeschooling there are high and low points, with lots of just-ordinary in between. Before I started homeschooling, I thought it would be simpler than teaching in the classroom. I thought it would be just the part about teaching that I love (the actual teaching), without all the stuff I didn’t like. That is true, but homeschooling comes with its own set of challenges. Teaching multiple ages is extremely challenging. Making sense of all the teaching methods and curriculum available, trying to choose what’s best for your family’s values and budget, and trying to customize teaching to your family’s/children’s learning style(s) is all very challenging. 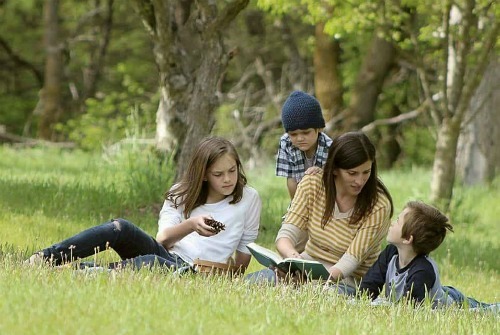 Finding a homeschool community that’s the right fit can be hard. Being your children’s mama and their teacher is challenging. Balancing doing life with doing homeschooling is challenging. 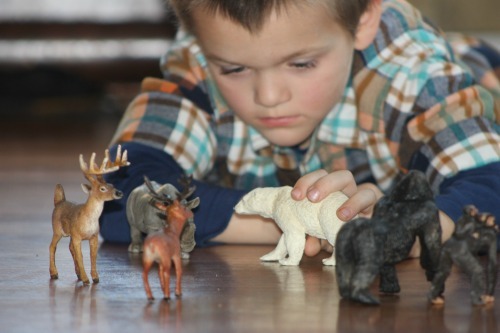 Homeschooling can be wonderful, but one thing it is not is easy. Homeschooling is a huge responsibility. When I was a classroom teacher, I worried when any of my students struggled to learn, but at the same time knew that the burden wasn’t all mine. If they came to fourth grade not reading at grade level, or not knowing their multiplication facts, or not able to write a short paragraph, it wasn’t all on me. I’d have students in my classroom for about nine months at a time and would teach to the best of my ability, but I wasn’t responsible for what they didn’t learn before they walked through my door. And if they really struggled with a concept during those months in my class, at some point I’d have to enlist some additional support via their parents. I, and the whole class, had to move on to the next thing. As a homeschooling parent, the reality of personal responsibility regarding my own children’s academics is a lot different. There’s no “last year’s teacher” or “next year’s teacher” or “mom and dad” to share the burden with. Yes, my husband shares some responsibility for our children’s education, but he’s not their main academic teacher – I am. And yes, “God’s got this,” but He’s not the one teaching them the nitty-gritty of how to read or do math – that’s my job. Homeschoolers willingly bear the bulk of the responsibility for their children’s academics, and sometimes that can feel pretty weighty. Homeschooling is a lot like a full-time job. Much as I thought I’d never go a day without shaving my legs, wearing make-up, and dressing in nice clothes after getting married (snort! ), and much as I imagined becoming a stay-at-home mom of a newborn would somehow create lots of free time to simultaneously pursue home-y things like crafting and cooking fancy meals (ah, the naiveté! ), so too did I view homeschooling. In my novice mind, going from teaching twenty plus students to teaching just one (or a few, or a bunch) would surely be much easier. The truth is, teaching is teaching, regardless of the number of students. There are still curriculum decisions to be made, lessons to be planned, materials to be gathered. I still find myself spending inordinate amounts of time looking into teaching materials and lesson ideas, prepping supplies for crafts, making learning games, and photocopying late at night (albeit in our laundry room/office area). The reality is that homeschooling is a choice to take on the full-time job of teacher while still being a full-time mama, and homeschooling requires a lot of work. Homeschooling is a work-in-progress and a learning process. 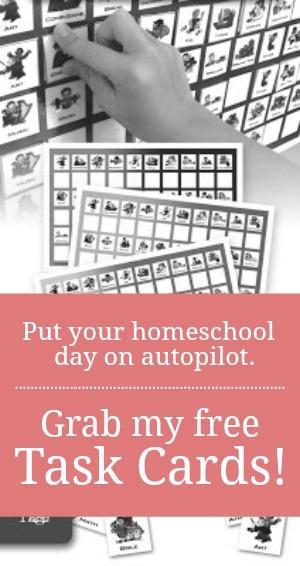 When I first started homeschooling, I wanted to figure out the right schedule, the right routine, the right curriculum, the right homeschool co-op, the right extra activities, the right way of doing everything. 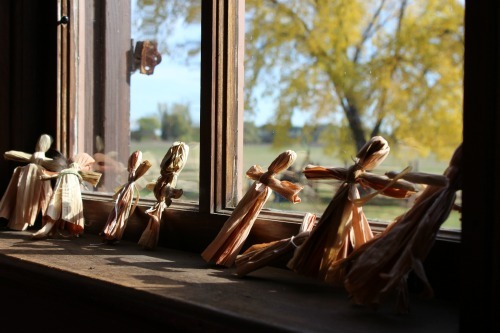 I really thought, because I knew my children and my family so well, I’d get to a place of having things so well figured out that every day and every school year would unfold blissfully and effortlessly. Instead, I’ve learned that no sooner is everything going smoothly in our homeschooling than it changes again. 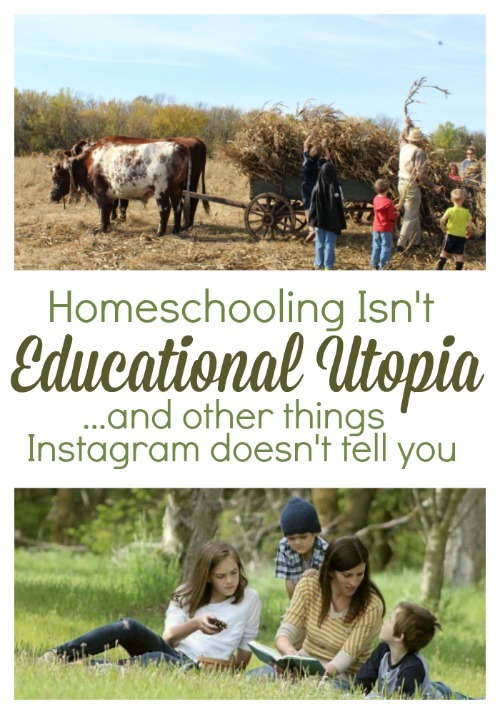 Like a marriage, like motherhood, like a family, homeschooling is not static. And no matter what that one homeschool mom on Instagram says, it's not picture perfect. Homeschooling is real and imperfect people loving, doing life, teaching, and learning together in the home environment, all while constantly changing, growing, aging, developing, and becoming. Embracing that is one of the many great gifts of homeschooling. Thanks so much for this post, Jessica. It's post like this one that encourage me in the good, and help me shake off the guilt of not doing the "all-the- other-stuff". Breath of fresh air!! Oh the tyranny of all-the-other-stuff. If I could only learn to carry what is mine to carry and lay down all the rest. I'm a work in progress. Wow, this post was exactly what I needed to read today! I'm a homeschool grad myself, and we're 7 years into homeschool our own 4 children and I now completely understand when my mom used to say "This is the toughest thing I've ever done, but I wouldn't trade it for anything." Thank you for taking the time to put what you've learned into words. I nod my head at each one, and this helps me articulate to other moms when they ask me about the nitty gritty. My husband is a homeschool grad too, Karina, and says the exact same thing...he finally understands!